Here is everything you need to know about the worlds biggest photography exhibition, the Photokina 2016 in Cologne. Starting with your travel through to what you should take with you, what you can expect from the event and special photography meetups around it. You can find the original German version of this guide here. The photokina prologue attunes to the photokina. There are some free and payed workshops, events and shows you can attend. The best way to stay up to date is to use their Facebook page. One event for example are the Nikon Experience Days in the zoo of Cologne from 23.09. until 25.09. The Olympus Perspective Playground. On a specially arranged big area you are able to try all the Olympus equipment (cameras and lenses). The flash card you need is provided by Olympus and after returning the camera you can keep the card with the images you took during your tour through the playground. For the last Photokina they gave 4 GB SD cards away for free. Meetup Tony & Chelsea Northrup and Matt Granger, who have a pretty big follower base on YouTube with over half a million people each. This is a great chance to meet them and a lot of other people, sharing the same passion like you do. The 4. German Wedding Meetup, where a lot of wedding photographers from Germany meet each year, hosted by Carmen & Ingo. There are 350 tickets, but they are unfortunately already sold out from the first day. Every renowned camera and lens manufacturer (Canon, Nikon, Sony, Pentax, Olympus, Fuji, Sigma, Tamron, Zeiss, Hasselblatt etc.) will show their products. You can also try nearly every equipment that is shown, which is perfect if you want for example to get a feeling to which camera should be your next one. Nikon and Tamron are even lending their equipment. The rental of Nikon can be found in the northern boulevard. Tamron is lending their stuff right at the booth. You can use and try the equipment for free the whole day while you are at the exhibition. Please keep in mind though, that the famous camera models will probably be pretty fast out of stock. There are a lot of supply manufacturers and they cover a big part of the present exhibitors. Some of them are well known and others are not, but they all show their latest products and inventions, to make your experience as a photographer as good as possible. You might be surprised about all the stuff you can discover here. Lectures for consumers and hobby photographers, f.e. one about the top 10 tips about smartphone photography by Pavel Kaplun (hall 9 D56), beginning a photo business, etc. Livecontests or Shootingcontests for professionals and visitors on a separate stage (as an example there is a contest called "4 photographers, 1 task, 1 winner"
Lightpainting is also a topic at the Photokina, where the scene of professionals within this special type of photography is meeting. This is a great way to be able to try it for yourself if you haven’t done this already and ask the pros about any questions you have. High wire acts, artists and spontaneous walking acts at the Piazza in the inner yard of the exhibition. Those can be captured with a zoom lens or viewed with spyglasses. Copter World - a drone parkour where visitors can make their own first test flights with drones and where the pros are showing the possibilities of this upcoming nice „toy“ for photographers. Indoor Obstacle Challenge during 23. - 25.09. daily at 11am until 5:40pm (11 - 17:40 o’clock) in hall 6. You can find the Facebook event for this challenge here. The starting fee for this event is 25€ plus 5€ for the entrance at the Photokina. The first 500 participants get free entrance though. The length of this race is about 3km with 10 obstacles from the Fisherman’s Friend StrongmanRun Germany and you are able to capture your run for yourself with a GoPro action cam. You can keep the SD card with your run afterwards. Contacts! You can meet people and photographers from around the world at the Photokina and probably all of them share the same passion as you do: photography. Use your chance to meet those people and connect yourself with them. Get prints of your own images in different sizes at the big print manufacturers like Canon or Epson. Make sure that you take your best 10 photos with you on an USB drive, because usually you have the chance to get your own posters printed as a little present. You won’t be able to see anything, because the exhibition area and all the events are just to much if you aren’t there for multiple days. So make sure that you write down the things you definitely want to see or try out. Prioritize what you want to take away for yourself from these days, f.e. that you have seen some of the special events or meeting specific people etc. The Photokina is divided into 2 time slots: during the week with more trade visitors and the weekend for the consumers and private customers. This also means, that the weekend has much higher visitor numbers and that there are more events for professionals during the week and more shows for private clients during the weekend. The weekend is also a lot cheaper for visitors than the days during the week. Take a look at the hall plan and the event schedule and select the parts that are the most appealing for you. The times between them are perfect to meet people or to take a look at new equipment and supplies you may want to buy in the future. Decide how many days you need for your visit. Maybe one day isn’t enough to see everything you wanted without being stressed out. Search for meetups after the exhibition is closing, because this is also a great and often unique opportunity to get contacts that can boost your own photography or to just meet some nice new people from around the world. The Photokina is pretty big, loud and sometimes confusing, so don’t stress yourself and make sure, that you carry anything with you that you need to safe yourself some time and extra effort. Wear comfortable shoes and clothes. You will run a few kilometers if you really want to see a lot, so make sure that walking longer distances isn’t an issue for you. This basically means that you should also only take the bare necessities with you. Take your own water and something to eat with you. The food stands are pretty expensive and sometimes crowded, especially during the weekend. In this way you are independent and lose less time. Don’t carry your big camera with you, when you don’t need it for a very special reason. Business cards! You don’t recognize real pros at the size of their camera, but at their individual business cards. They are not at the Photokina to show their equipment, but to meet new interesting people and contacts that can accelerate their photography business. As already mentioned you should have your best 10 shots with you on an USB drive if you want to have some prints for free. Another good idea is to have a tablet or something like that with you to be able to show others your work. A printed portfolio is also great to take with you if you want to get new contacts that rely on your current work. If you can you should pass on your car. Parking only costs around 10 Euros a day, but it’s usually not that easy to get free parking places during the weekend because of the huge amount of visitors. Your Photokina-Ticket can be used as a railroad ticket, which means that it’s often better to leave your car outside of Cologne and use the train to get inside the city. This is also pretty comfortable, because the next train station called "Messe Deutz" is just a few minutes away from the Photokina. Nearly every train which is driving to the main station in Cologne is also holding at this stop. The streetcars 3 and 4 are driving to the stop called "Koelnmesse", which is the nearest one to the exhibition and right in front of the entrance. Another option is to use the line 1 and 9 until "Messe Deutz". Bicycles are also a great way to get to the exhibition, especially during such big events like the Photokina. You should avoid the Hohenzollern Bridge though, because this one is usually full of people and you won’t be able to drive here without walking your bike. 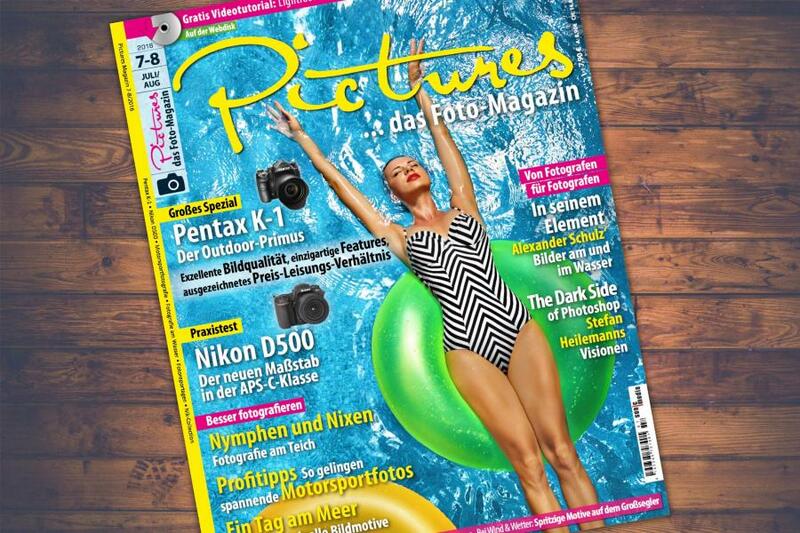 Pricing at the Photokina 2016, source photokina.com. Important notice: Don’t throw your tickets away, because you will need them again when you leave the Photokina and if you came by train you will need them again to come back home for free! The pre-sale already ended at 19.09., but there are still some possibilities to save some money. If you sign up for the Lightpaintingevent for example, you get 3 days (Friday 21. until Sunday 23.09.) for only 30€ instead of 54€. There is also a Facebook event here. The German magazine Chip offers you day tickets (as long as they are available), when you buy this special issue of the magazine (only available in German language). This way you only pay 19,80€ instead of 33€ for a ticket during the weekdays. The offer isn’t saving money for visitors during the weekend though, because those only cost 12€, which is less then the price of the magazine. 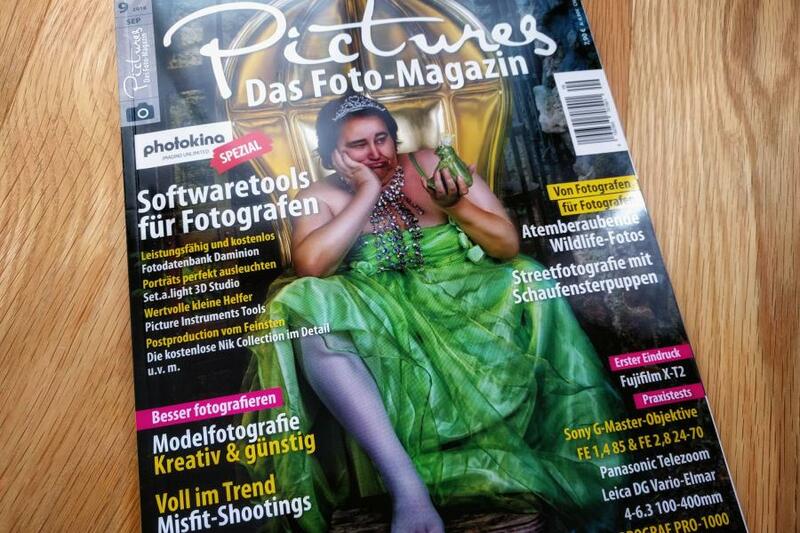 You can also buy tickets directly from photography shops like Saturn or Foto Gregor. This also reduces the price from 33€ to 25€ during the week and from 12€ to 10€ during the weekend. We hope that this guide helped you to plan your trip to the biggest photography event in Cologne this year and we would love to meet you guys in person. The content was written and aggregated by David from Fotografie-Kurs.Koeln, who was so friendly to allow us to translate his guide from German to English. Head over to their page if you are interested in their really cool photography classes in and around Cologne for beginning photographers!